This cosy and practically furnished apartment is located in Elmenhorst between Nienhagen and Warnemünde. 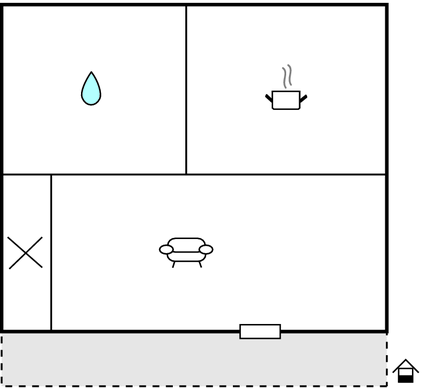 This apartment, located on the ground floor. This cosy and practically furnished apartment is located in Elmenhorst between Nienhagen and Warnemünde. 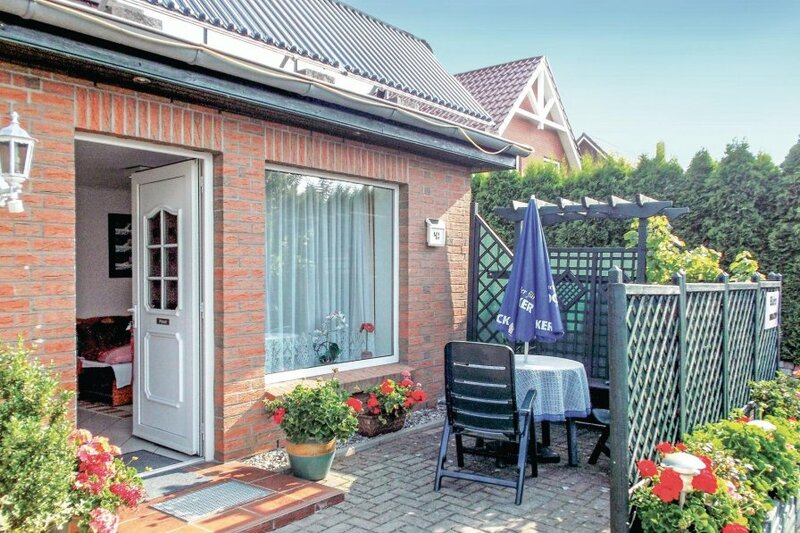 This apartment, located on the ground floor, can accommodate 2 adults and 1 child and is the ideal choice for spending your holidays near the Baltic Sea. The prime location and the outstanding infrastructure make this house the ideal base for your holiday by the seaside. There are numerous recreational activities for sports enthusiasts and golf lovers. The town has several supermarkets, doctors, bakers and cafes. Bike paths lead to the natural beach located about 1.5 km from the apartment. You can take a leisurely walk along the cliffs and explore the wonderful natural surroundings. The Hanseatic city of Rostock can be reached in a few minutes by car. This modern studio apartment is made from brick or stone and was originally built in 2003 and refurbished in 2016. The agent has rated it as a three star property so it is a well-kept studio apartment, equipped with standard furniture. It is also good value for money. The studio apartmentIt is located in Elmenhorst-Lichtenhagen, only 3km from Warnemünde. The nearest airport is only 30km away. It is set in a very convenient location, 1km away from a sandy beach. There's also a restaurant only 800 metres away. You can also park on-site at no extra charge. The studio apartment is adequately equipped: it has a refrigerator and microwave. It also has a barbecue and some garden furniture outside.